San Diego & Colorado Regions! Joining Sellstate Alliance as an agent a couple years ago was the best career move Myoung ever made as it allowed her to experience the corporate culture that we have loved ever since she got involved with Sellstate. We loved it so much that after some thought and conversations with John Werkmeister, we decided to open our own franchise, Sellstate Summit Realty. John and his partners, as well as other franchise owners in the Region, have been amazing in helping us put proven systems in place to jump start our franchise. They continue to make themselves available for any and all questions we might have and even though we are independent owners, we meet and communicate regularly to enhance our knowledge and growth in the industry as well as elevate the Sellstate brand. The corporate culture John has created is one that inspires all Sellstate agents to work in a cooperative environment where everyone's end goal is to help each other achieve success. We look forward to working with the entire Sellstate family for years to come. I am extremely happy with my decision to purchase a Sellstate Franchise! I have nearly 20 years experience in the real estate industry with 5 different companies ranging from Re/Max to being an independent company. During the last recession I joined Sellstate ACE Realty. Admitedly, the main reason for my joining was due to the savings plan making my monthly bills easier to track as well as I retained the majority of my commissions. As an agent I was amazed by the technology and support that I received from Sellstate, both at the Colorado Regional level and the National Corporate level. In February 2014 I opened my office (Sellstate Realty Pros) and again I was dazzled by the support and encouragement that I received. I have found that the Sellstate model is one which supported me as a Managing Broker as well as helped nurture me as a franchise owner assisting to in building a prosperous business which continues to grow all the time. Sellstate provides so many great benefits such as the Powersuite technology package, Centralized Processing which makes so many processes from payment of commissions to disbursement of 1099's so much easier. These are only a few of amazing benefits to help franchise owners have a "leg up" when competing with other companies to grow your Sellstate Franchise. Due to the unparalleled support that I have received from Sellstate (both as an agent and as a franchise owner) I am so confident in the systems and services that I am able to provide I am looking into additional franchise opportunities with Sellstate. I highly recommend Sellstate to anyone who is looking for a supportive, well thought out Real Estate franchise. You will not regret your decision to join our Sellstate family and reap the benefits of our continued growth! I've worked with John Werkmeister and his people over the past three years and I've found them to be not only professional but also extremely committed. The Sellstate business model embraces the new way consumers buy and sell real estate giving the agents an unmatched toolkit of resources as well as the highest compensation model in the industry. John and his people offer the support and expertise needed for success when starting a brokerage. John Werkmeister the Regional owner of Sellstate Colorado can best be described as the sincerest and most dedicated person that I have ever been privileged to do business with. Money and profits are the least of his priorities. His passion is to help people achieve their potential both at the sales and Franchisees level. John is a true believer that growth comes from within and that success breads success and to this end he will work tirelessly to help all those around him. The Sellstate business model finally gives real estate an option that can be profitable for both agent and owner. Our low cost fee system actually allows our agents to save money which in return allows them to increase marketing expense and sales volume. The continuous support for all owners shown from Colorado Regional Director John Werkmeister has given us a clear direction on how to build your business into a successful real estate office. 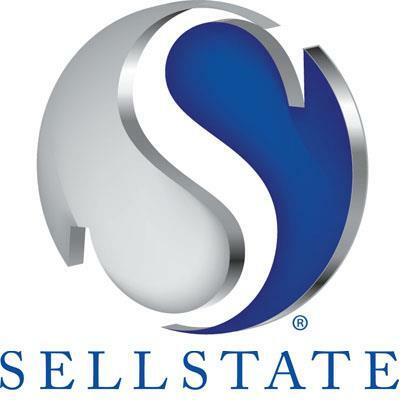 No matter what your agent experience is whether brand new or seasoned; if you strive to take your business to the next level then you owe it to yourself to check out a Sellstate near you. The Sellstate Franchise has been all about support. Everything I see & hear is about how other brokerages offer little/no support for it's agents, and/or owners getting no support from their franchise to help their offices grow and prosper. Having an agent-centric model makes sense to most because if the agent makes money, the brokerage makes money - and certainly the reverse is true. Therefore, when we all support each other to grow and thrive, you get the results that Sellstate is so proud of. At the highest levels of Sellstate leadership, you find real estate masters who built amazingly successful businesses, and they impart that to all, from the top-down. Sellstate will undoubtedly be the model and mindset to beat for years to come, and others are already trying to copy the model and culture.